Behold the bottomless Sunday lunch - an exciting new addition to our popular bottomless brunch. Available every Sunday, it’s an indulgent (and boozier) take on our scrumptious Sunday roast. 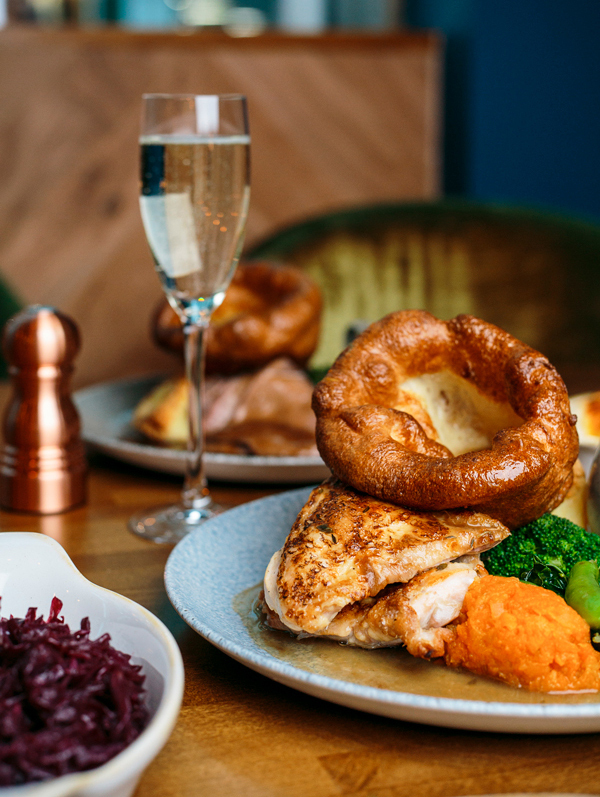 Enjoy a choice of unlimited drinks - including Prosecco, Bloody Marys, Coors, Aperol Spritz and Garibaldi - as you tuck into half roast chicken or beef with all the trimmings. Think fluffy roast Maris Pipers, crushed swede and carrot, seasonal greens, Yorkshire pudding and as much gravy as you can handle. Feeling extra hungry? Supplements include spiced red cabbage and cauliflower cheese and, of course, extra Yorkies. Price includes one dish from the menu and unlimited Prosecco, Bloody Marys, Aperol Spritz, Garibaldi and pints of Coors available for 90 minutes from booking time. Only one drink at a time. Whole table must order from this menu.